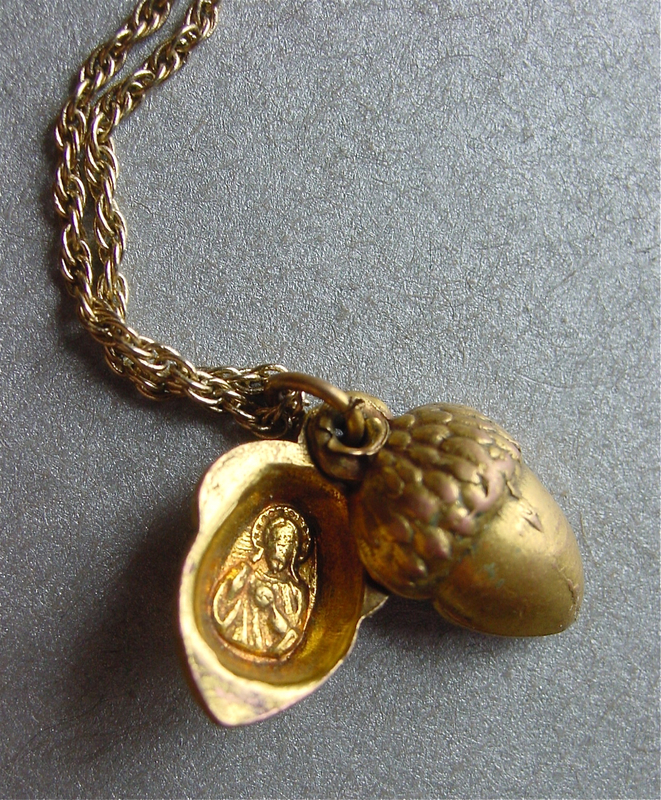 I’m like a squirrel with a nut when it comes to oak- and acorn-themed jewellery. One of my favourites is this lil’ locket. Slide it open and it depicts the Virgin Mary and Baby Jesus. I am not a religious person, so I do feel a little uncomfortable wearing it sometimes. But than I convince myself that no one will know if I don’t open it. I come across a lot of devotional items in bags of broken jewellery. I have never come across one like this before or since. I haven’t even found traces on the internets. So I think my secret is pretty safe (or it was until now). Sorry I didn’t reply — the original post was from so long ago (2014) that I missed it. You have a great day too!